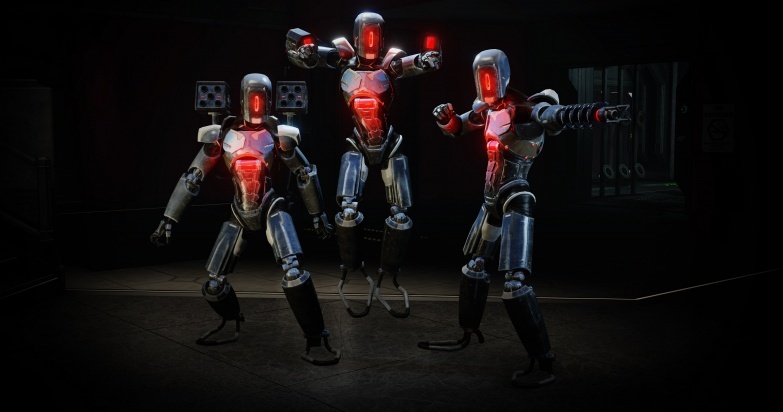 The E.D.A.R (Elite Defense & Assault Robot) is an uncommon type of the enemies in Killing Floor 2 and the first enemy type to be completely robotic. E.D.A.Rs come with the three distinctive variants - Bombers that utilize shoulder-mounted rocket launchers, Blasters rapidly shooting fast moving medium damage projectiles out of the pair of blasters attached to their wrists and Trappers that unque for being able to catch and immobilize players for a short period of time within certain vicinity. 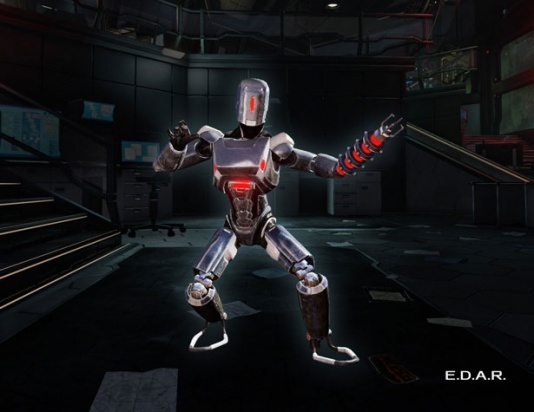 E.D.A.R's visual appearance based on the playable D.A.R character. E.D.A.R's head and torso protected by two pieces of armor that act like a second health pool. E.D.A.R's chest core is extremely vulnerable zone - not it only takes 250% more damage when shot at but as well causes EMP explosion damaging and incapacitating nearby ZEDs and killing E.D.A.R instantly should the player destroy all of its health. Every Husk OR Stalker has a chance to spawn as either of E.D.A.R variants. Chance to spawn as E.D.A.R variant: Normal - 0.08, Hard - 0.1, Suicidal - 0.15, HOE - 0.21. E.D.A.R dies instantly upon depleting their chest core HP, however prior to that torso armor should be destroyed first as it absorbs all the damage dealt to torso. Shooting chest core (whether it exposed or hidden under the armor) provides major damage multiplier - x3.5. 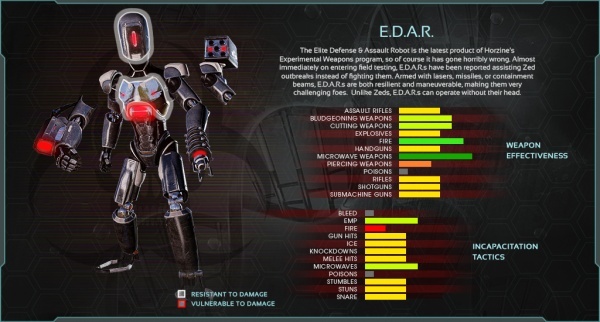 Every E.D.A.R variant wears 2 pieces of armor - on its head and chest. Each armor piece has its own health that absorbs ALL the damage dealt to respective body part. AOE attacks (e.g. fire, explosives) have their damage split across all existing armor pieces for equal parts. Much like with Rioters, E.D.A.R's spine and legs are always exposed. E.D.A.R's actual head is covered with the armor however it is impossible to destroy one without destroying the other. The moment E.D.A.R runs out of the head armor its actual head getting taken off as well (its HP turns from 350 to 0). E.D.A.Rs do not bleed to death upon loosing head. Upon loosing its head armor (getting decapitated visually), E.D.A.R's accuracy (aim error) factor being increased by 3 times resulting in less accurate shoots, its base time between each two ranged attacks is also increased by 2 seconds. When its chest armor destroyed, E.D.A.R become unable to sprint and dodge attacks. On torso armor loss: cannot sprint, stop sprinting, cannot evade attacks. Blaster (uninterrupted laser salvo spawns up to 13 beams. Animation lasts for 3.93s). Bomber (uninterrupted rocket salvo spawns up to 8 rockets. Animation lasts for 4.27s). Trapper ("windup" time lasts for 1.12s). Blaster E.D.A.R's laser is technically an explosive projectile. It has radius of 75 units where it does 7 points of damage with linear falloff. It has Ballistic damage type hence countered by Gunslinger and SWAT's passive bullet resistance bonuses. Bomber E.D.A.R's rocket attack is capable of destroying closed unwelded doors in one hit. It has Explosive damage type hence countered by Demolitionist's passive explosive resistance bonus. Ranged attack intervals deviated by up to -1s / +1s. Minimum attack range - 3m, maximum - 40m. For E.D.A.R Trapper: minimum attack range - 2.5m, maximum - 5.5m. Time penalty between ranged attacks, on "head" armor loss: +2 seconds. Attack powers: Laser: Stumble power = 10. Rocket: Knockdown power = 225, Stumble power = 400. Aim error factor - 0.03, after "head" armor loss - 0.09 (0.01 / 0.03 for E.D.A.R Blaster). Should sprint if can sprint OR (if can sprint when damaged AND damaged) (i.e. if sprint chance met its value) AND if distance to player laying between 5 and 50 meters (500 units < distance < 5000 units). Should sprint when frustrated. Cannot sprint after torso armor loss. E.D.A.Rs notorious for being extremely vulnerable to Firebug's Microwave Gun and Demolitionist's explosives. E.D.A.Rs are almost completely neutral to ballistic weaponry, they most notably weak against shotguns. Unlike most of the other enemies in the game, E.D.A.R's most vulnerable hitzone appears to be their chest core. E.D.A.R's chest core (area between its "chest" and "abdomen") is almost completely exposed for attacks even when it still wears its armor. However it still counts as damage to chest armor (with much greater multiplier) as long as E.D.A.R wears some of it. Upon destroying torso armor and depleting their's chest core HP (150 points on all difficulties), E.D.A.R should explode damaging nearby ZEDs. Explosion damage = 25, Radius = 500, Falloff exponent = 0.5, Damage type = EMP, EMP power = 100. Chest core is exposed with or without armor, counts as damage to chest armor first when chest armor gone - as damage to the actual health. E.D.A.Rs are one of the few enemies in game capable of attacking players from the distance. They use their projectile attacks at the distance and melee attacks in close combat. E.D.A.Rs are rather evasive and will attempt to dodge players attacks upon taking damage. 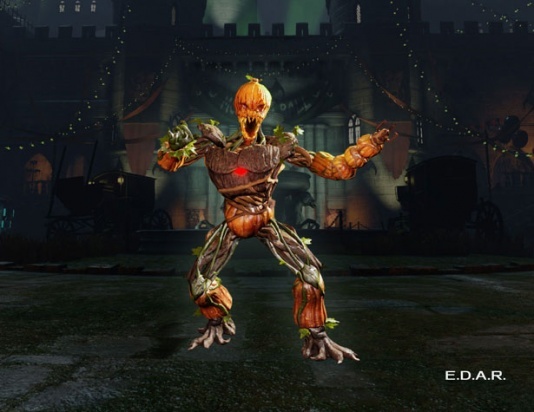 Every Husk OR Stalker has a chance to spawn as either of E.D.A.R variants. Chance to spawn as E.D.A.R variant: Normal - 0.1, Hard - 0.12, Suicidal - 0.18, HOE - 0.25. (PvP) Rally boost: forces AI E.D.A.Rs to sprint. XP Reward: Normal - 15, Hard - 20, Suicidal - 27, HOE - 31. Firebugs are quite effective against E.D.A.Rs due to their weakness to fire and microwave. 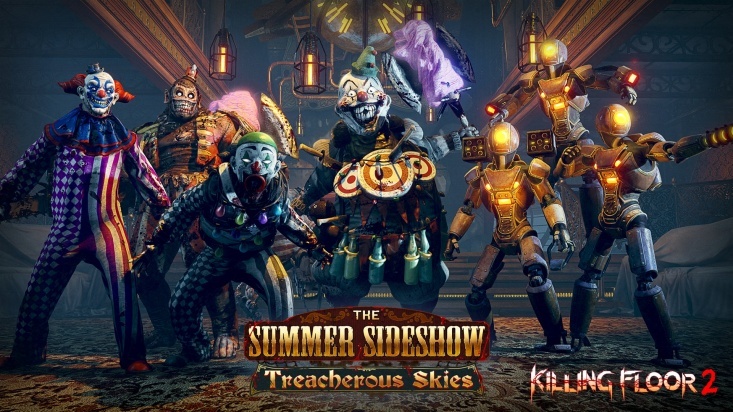 For players with the firearms as a weapons of choice it is recomended to aim for the chest core as it has high damage multiplier and is always explosed, even when they still wear their armor. Demolitionist and Field Medic might have trouble taking them down due to how explosive weapons distribute their damage between armor pieces / low damage output. This page was last edited on 7 April 2019, at 18:11.